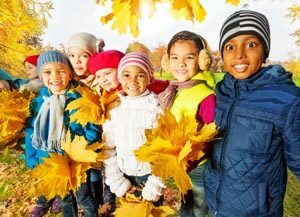 The U.S. Centers for Disease Control and Prevention (CDC) advises following these tips to help you and your family stay safe and healthy this Fall! The single best way to protect against the flu is to get vaccinated each year in the Fall. Cover your nose and mouth with a tissue when you cough. Use a tissue when touching public surfaces, like elevator buttons or doorknobs. Wash your hands often (see below). Stay at home if you get sick. Antibiotics can cure bacterial infections, but not viral infections. The common cold and flu are viral infections, so avoid using antibiotics if you have one of these. Using antibiotics when they are not needed causes some bacteria to become resistant to the antibiotic, and therefore stronger and harder to kill. Check or replace carbon monoxide batteries twice a year. 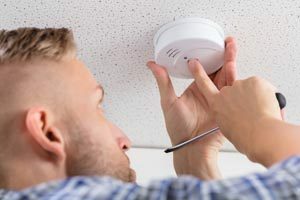 Replace smoke alarm alkaline batteries at least once a year. Test alarms every month to ensure they work properly. Remember that using space heaters and fireplaces can increase the risk of household fires and carbon monoxide poisoning. Sign up to receive automatic food recalls and safety alerts (including allergy alerts) at FoodSafety.gov. 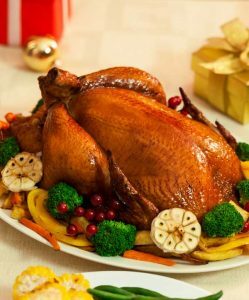 Sponsored by the Food and Drug Administration (FDA), U.S. Department of Agriculture (USDA) and other leading health organizations, the site is a good source for food safety tips and education. The holidays are a time of celebration. 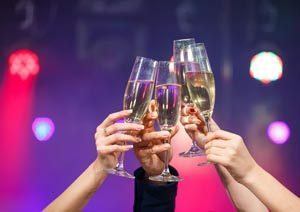 Before imbibing in alcoholic beverages like eggnog, wine or champagne, remember that alcohol use impairs skills you need to drive a car safely. It slows reaction time and impairs judgment and coordination. Alcohol-related motor vehicle crashes kill someone every 31 minutes and non-fatally injure someone every two minutes. Don’t drink and drive, and don’t let others drink and drive. Previous Post Protecting Your Loved Ones From the Flu Next Post Is Spring Fever Making You Sick?